Reformation and Counter Reformation. As at the time of Luther and of the Council of Trent. Or better, Protestant Reformation and Catholic Reformation, as has been brought out by the historians. Again at the time of the last Council the reform of the Church was among the purposes that Paul VI pointed out to the ecumenical assembly in the encyclical Ecclesiam Suam and in his speech at the opening of the second session. Perhaps with gallant naivety, but certainly, in Pope Montini, with the sincere and suffering desire that the light of Christ should shine with more transparency on the face of his Church in order to facilitate the encounter with modern man. In these last decades there has been no more talk of the reform of the Church. 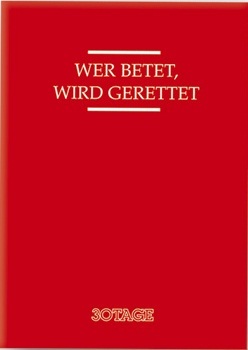 And even the more significant suggestions for reform, like that mentioned by John Paul II in the encyclical Ut unum sint on a possible revision of the exercise of the primacy, or like that proposed by Cardinal Gantin, precisely in 30Days, on bringing back the ancient rule whereby a bishop, as norm, could not move diocese, have gone unheeded. And yet if one kept in mind that the Church is for men and not men for the Church, one would seek to do everything possible, even with the reform of laws and institutions, to make the Christian life simpler and easier for all the believers. Lighter, as Jesus says speaking of his yoke. With these feelings in my heart I wanted to discuss the matter with Cardinal Godfried Danneels, Archbishop of Mechelen-Brussel, who is accustomed to giving clear answers even when journalists press him on controversial questions. Certain that he would immediately agree with me on Congar’s simple statement: «The successful reforms in the Church are those that were made in response to the concrete needs of souls». In December 1963 the Fathers of the Vatican II Ecumenical Council promulgated the constitution Sacrosanctum Concilium, the document that was supposed to inspire the reform of the liturgy. Forty years on, how do you remember that period? GODFRIED DANNEELS: The Sacrosanctum Concilium opens with these words: «The Sacred Council aims to make Christian life increase each day among believers». The spirit that animated the liturgical reform was that of making the rites simple. A return to the ancient tradition, that would remove all the additions that had accumulated in the course of the centuries, and that they were not in themselves to be rejected, but were in danger of making the essential structure of the eucharistic sacrifice more obscure. DANNEELS: It was important to make the liturgical celebration accessible to the ordinary faithful through the introduction of vernacular languages. And then, the flower of the whole reform was the lesson book. 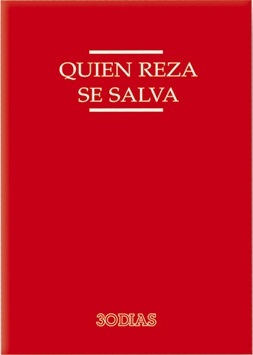 In the history of the Church we have never had such a rich lesson book. I would say too rich. Each reading is heard only once every three years. Then there was the effort to adapt outward forms: the singing, the altar, the active participation of the community. But perhaps the deep mystery of the Eucharist, the real presence, the sacrifice of Christ got lost from sight in many cases. Because the liturgical celebration is not a pièce de théatre. Last year, speaking to the Canadian bishops, you dwelt on the essential aspects of the liturgy. DANNEELS: The liturgy is the work of God toward us. In its essence it is a datum, something that comes to us from the outside and goes beyond us. The active subject of the liturgy is Christ risen. He is the first and unique priest, the only one capable of offering worship to the Father and of blessing the congregation. And the heart of the liturgy is already given in the gestures of institution set out by the Lord. Certain liturgical forms were defined by Christ himself. The Church itself has no power over these essential data of the sacrament. Until the end of the ages the eucharistic celebration will be that supper of Christ’s, that occurred in that moment, in Jerusalem, done with bread and wine. That nobody can change. On that occasion you also described the shadow that has fallen on the concrete application of the liturgical reform. DANNEELS: It happens when those who should be in the service of the liturgy seem to become its owners. The true subject seems no longer to be Christ himself, but the person or the community performing a rite of self-celebration. Instead of performing a gesture already given, they multiply discourses, they give out teachings. Perhaps some of the outcomes of the liturgical reform have provoked a negative bias toward the very category of reform, now fallen into oblivion. DANNEELS: In the Church the notion of reform is a classical notion. 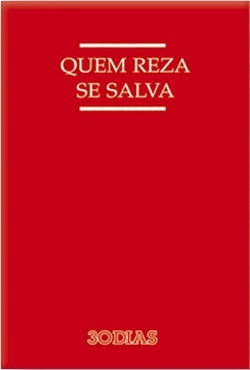 Ecclesia semper reformanda. That was also the leitmotif of the Council. I don’t believe there’s any cause to fear it. It remains a fact that those who talk about reforming the Church’s laws and structures are silenced as if they were wasting time talking to themselves, instead of getting on with the so-called new evangelization. DANNEELS: There’s a way about these things a bit like talking shop, as if people had nothing else to do. Like the Roman senators who at the end of the Empire got lost in their quarrels while the outposts were falling one by one, and they didn’t even notice. But the need to change and reform things is connected to the very instrumental nature of the Church. In what sense? Could you explain. DANNEELS: The Church is not for itself. 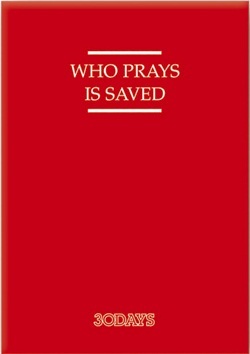 It exists through the grace of Christ and for Christ, to obey his commandment to save men. It is a tool in the hands of Christ, who is no longer visibly present in the world. And if Christ is the instrument of salvation in the hands of the Father, the Church can be no more than an instrument of the instrument. And it can be changed and reformed to perform its function better. It is further objected that if the focus is on reforming secondary things, one ends by losing sight of the essential. DANNEELS: The whole Church, as instrument, is something secondary. But as instrument it is indispensable. 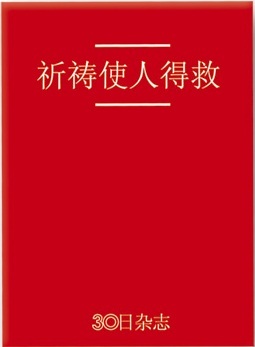 Reform concerns outward, secondary aspects, it does not concern the soul, the heart. But a soul without a body doesn’t exist and when the body is sick the soul suffers because of it. To tell the truth, over recent decades, the outward aspect of the Church has grown stronger. As at the beginning of the second millennium, at the time of the Gregorian reform, there has been effort over these decades to strengthen the public role of the Church towards secular institutions. DANNEELS: In fact I see in that the globalizing of the Church. Even if battles are fought in its defense, we work on a world scale. The Church as political pressure group, like any lobby. At home, in Belgium, it wouldn’t be even imaginable. We no longer have political power. We are poor and without influence. We live in a situation in which one can only become aware that we are strong precisely when we are weak, as Saint Paul says. It is a precariousness that many would be uncomfortable with. In Italy I see the tendency of ecclesial groups to seek roles of political influence as more marked. What then is the criterion for real reform of the Church? DANNEELS: The criterion can only be that of the salvation of souls. Salus animarum suprema lex. 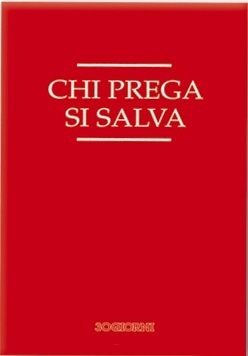 It is the binding, normative criterion that should be used to judge every change even in the ways of exercising potestas within the Church: encouraging the life of faith and the salvation of all believers, as the opening of Sacrosanctum Concilium points out. When the criterion is encouraging the Christian life of believers, the conditions for a real reform that Yves Congar set out in his book True and false reform in the Church are respected, and they are still valid. To what do they refer? DANNEELS: For example, a condition for a real reform is patience, a certain patient sense of time, whereby the Church does not reform itself by revolution, but through organic processes. There are no abrupt and violent turns, there are no wrenches. With the criterion of the salus animarum, let’s pause to consider some possible prospects of reform. Starting from lay believers. In the Church, when the laity are spoken of, what is meant, almost without noticing it, are people belonging to organized movements. DANNEELS: I have no objections to the movements, but something needs to be kept in mind and that is that charisms pass away. Perhaps keeping that in mind would suffice so as to remain in humility and avoid shutting in on oneself. And then those who really have the gift of a charism usually aren’t aware of it, they don’t notice it. Others in the Church notice it, and the person isn’t always very happy with the recognition. Sometimes the organized laity seem like militants dedicated to affirming the public role of the Church in de-christianized societies. Would you accept that description? DANNEELS: The task of the laity can be, in particular situations, that of getting organized so as to bring pressure in the fields of culture, of politics, of the economy. But why would one want to turn all lay believers into militants at any cost? The concept of militancy is of itself tied to exceptional situations. While the layman is simply the believer who lives in the world, that is in ordinary situations such as the family, work, the things of every day. And there, «in the circumstances of his daily life», as Lumen gentium says, «he makes Christ visible with the radiance of faith, hope, and charity». DANNEELS: In comparison with the bishops of only thirty or forty years ago, I find that our life has become exhausting and full of stress. 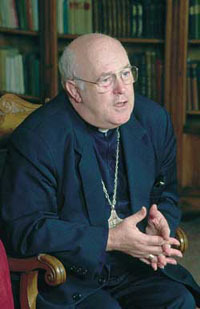 When one hears that the bishop must be the prime liturgist, the prime evangelizer, the prime catechist, the first friend of the …poor, the first ecumenist, the first master of social doctrine, the person primarily responsible for inter-religious dialogue and for the consecrated life of his diocese… It’s such a concentration of primacies that in the end one can’t find a way of doing the ordinary things belonging to his daily task. Because it’s like in the state. When all the jobs pile up on a person, in the end all one can do is stay fixed on the throne because there’s too much work that one can’t get through. Saint Gregory the Great often comes to mind, with his regret for his life as a monk, when he didn’t have to deal with an ocean of useless words. Or Saint Bernard, whose advise to priests and bishops was: «Have mercy on your souls». DANNEELS: One ends up forgetting that all our priestly and episcopal titles belong properly to Christ and to him alone, and we bear them merely by analogy. Perhaps there ought to be a new Epistle to the Hebrews to remind us that Christ is the only priest. And that the secret of our joy lies wholly in the free gift of being able to do what we do in persona Christi. DANNEELS: I’m a bad example, I’ve been transferred already three times. It won’t be a crime, but it’s surely not an ideal practice. Because it obscures the stable and ordinary relation between the bishop and his diocese. And it doesn’t seem to me acceptable that someone is appointed bishop in a See only as practice and development stage for going on to a larger See. All this turns the bishops into functionaries. The bishops are the successors of the apostles, not the local officials of a multinational. And their nomination is for the advantage and spiritual good of the believers to whom they are sent. That is the criterion that decides everything. You have pointed out on other occasions that even the relationship with the central organisms of the Church can become a burden for local bishops. DANNEELS: There is this everlasting stream of paper… We are submerged every day by very long documents, instructions, vademecum. A downpour of pronouncements that, since they come from the Roman departments, always have an authoritative, normative character without there being any co-ordination to show what’s important and what less so. And the local bishop then has to pass a good part of his time in his own diocese acting as relay for this input from the Vatican or from the episcopal bodies. Perhaps there should be a moratorium at all levels to help simplification. Perhaps there should be a moment of calm in the Church, to give us a breather. The debate on collegiality is often seen through the worldly category of democracy. DANNEELS: Collegiality is not a matter of a balancing of powers. It has a theological valence. It has to do with the very nature of the Church. I’ve already said that we need a strong successor of Peter and a strong episcopate. It’s not a matter of diminishing the influence of the Pope or that of the other bishops, at the expense of each other. And in any case it will be always a non-obvious balance, something to strive for with patience. Because I think it will only be after the coming of Christ that we resolve the problem of collegiality. There are those who ask that the principle of subsidarity be applied to the life of the Church. Some recent Vatican pronouncements seem to have closed the debate. What practical applications do you think the principle might have? DANNEELS: In the broad sense subsidarity is already part of pastoral schemes adapted to diverse situations. For the rest, it’s difficult to make a settled list. There are times in which centralization serves in the Church and times when, according to the criterion of the Ecclesiae necessitas itself, decisions must be decentralized. It’s a matter in any case of choosing with flexibility aims that are always temporary. One can’t presume to settle that in some canonical rule in force for the next three millenniums. You have already expressed elsewhere your reserves on the somewhat self-celebratory aspects of certain recent gatherings of cardinals and bishops summoned to Rome, including the Synods. DANNEELS: After thirty years I think that the mechanism of the Synod should be readapted. Synods should be loci for real debate, where free discussion is possible, respectful of the prerogatives of the Pope, but without complexes. On the subject of the Pope, some people speak of the “papal giganticism” that has marked the recent ecclesial period. DANNEELS: There is more than one reason why the Pope has become an immense figure in the Church. First, he truly is really a charismatic individual who attracts attention. He is a physically, spiritually, morally athletic man. He has a gift for establishing contact, for relating. It’s not then so strange that he’s taken a predominant role in the image that the world has of the Church. Not least because the mechanism used by the media, and above all by television, is the zoom. It picks on a detail, a personality, it separates him from the context and focuses attention on him. The same thing happens with cardinals, or with the political leaders. And this is not just a technique of the tele-camera. It’s become a deformation by now in the mentality of contemporary man. The personalization of the Petrine ministry in charismatic terms has problematic features, however. DANNEELS: The humility of the person himself. Or at least a certain good nature, a willingness to relativize one’s own importance, not to value oneself too highly. A bit like John XXIII, who when he read a document someone else had written for him, every now and again commented: «It’s worthless, even I could have written that». 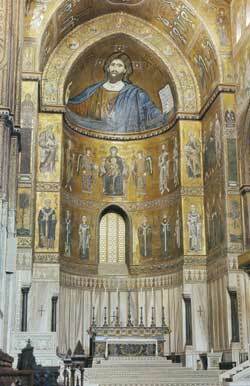 The personal and subjective factors are nevertheless grafted onto the form taken by the Petrine ministry in the second Christian millennium. According to many, some corrective should be found to this image of the Pope as super-bishop whose diocese overlaps the whole world. DANNEELS: The thing that cannot be changed is the wish of Christ in reference to the Church. Or rather that the Pope is the successor of Peter and holds the primacy. Then the historic exercise of the primacy has gone through different modes. In the second millennium there was a process of centralization, in which the Church also was influenced by the model of national monarchies in the process of formation. What will happen in the third millennium can’t be programmed. But one might hope for a certain lowering of tone in the good sense. Putting the stress on the essential features of the Petrine ministry. Which of those essential features might be most “valorizable” in the current situation? DANNEELS: The Pope is first and foremost the Bishop of Rome. He exercises his primacy while remaining bishop of his diocese. And the present Pontiff, among his many characteristics, has honored that feature by visiting nearly all the parishes in Rome, as no other Pope had done. Certainly, the task of dealing with the large issues of the universal Church make it hard to follow the daily affairs of his own diocese. But this could be a key to rediscover in new forms, in the third millennium. The prestige of the Pope should be a prestige, let us say, of inner strength, rather than of officialdom. In this perspective, even the possibility that future popes could resign doesn’t seem too shocking. You have spoken several times of the issue. DANNEELS: It’s not a matter of making a rule like that of retiring bishops at 75, nor must any kind of pressure be put on the Pope. Everything is to be entrusted to his freedom, to the inward relation between his conscience and God. We can’t know what goes on in the heart of anybody who has such serious responsibilities. But it could happen that with the general increase in life-span the popes of the future will reach a hundred. There would be nothing strange were one of them to say: I’m old and sick, it’s time I stood down. It’s already happened at other times in the Church. Canon law also allows for it. It would be an eventuality in which the distinction between the role of pope and the person who acts it pro tempore that I mentioned earlier would emerge in simple manner and without straining. In something you once said I found an expression that intrigued me, when you said that two things could help the priest and the bishop in the exercise of his work: the awareness of being poor sinners, and apostolic thlipsis (ylîciw). What is ‘thlipsis’? 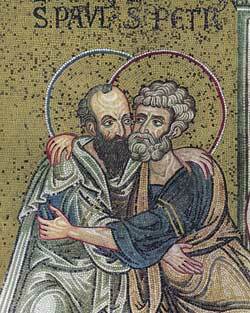 DANNEELS: They are the apostolic sufferings of which Saint Paul speaks. 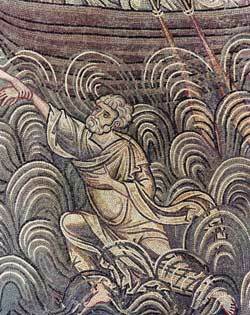 At the beginning of his mission, when something didn’t succeed or went wrong, Saint Paul thought he was to blame. And immediately tried to mend things, to get back on his feet, even by going to preach in another city. Then, later on in years, he understood that there can be things that don’t succeed, not because of one’s own limitations, but as a mystery of participation in the suffering of Christ, which had no cause on his part. In apostolic suffering there is an inexplicable mystery of conforming to the gratuitous passion of Jesus. 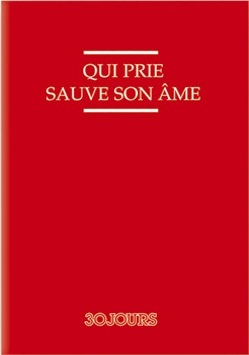 «Oderunt me gratis», says the psalm. They hated me without reason. They had no reason, no reason at all for hating Jesus. In my experience also, as in that of many priests and bishops, something analogous to what happened to Saint Paul has occurred. At the beginning, faced with something that hasn’t worked, one thinks: I should have done this in some other way, I set about it without sufficient forethought. In the end one sees that one’s own limitations and sins, that also have their weight, are insufficient to explain everything. Nothing is mechanical, nothing is inevitable. 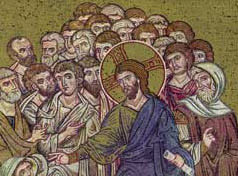 In the same way, I believe that even if we were all saints from the Pope down to the last believer, if our witness were clear and our mission meritorious, it’s not said that everybody would for that reason impatiently come to crowd the doors of our churches, to get inside. Perhaps they would hate us more. As they hated Him, without reason.